* High quality handbag made out of soft but sturdy PVC. * Handle can be adjusted in two positions: Handheld Tote position of 5.5" (14cm) handle drop from the center and Shoulder position of 10.5" (26cm) handle drop from the center. 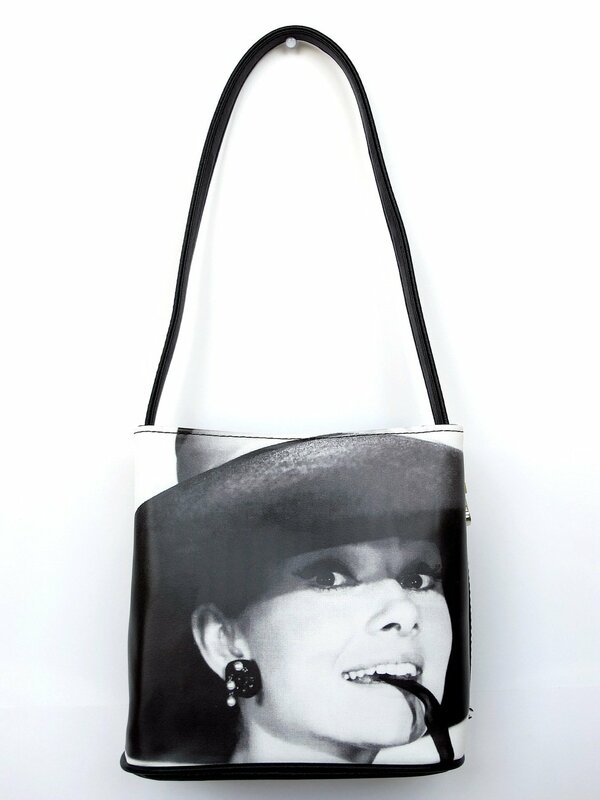 * Features a film-coated, clear reproduced photo on both sides of the bag. * The bag has three compartments. Middle compartment features zipper closure as shown in the picture. * One interior zip pocket for small items like cell phone, coins etc (not visible in the pictures). * Large enough to contain phone, makeup stuff, pouches, coin purses, wallets and anything else you need to carry with you. * Durable, Lightweight, Fashionable, Waterproof, Easy to clean. * Be the envy of your friends with this gorgeous handbag!